Mahshid Zamani, CEO of Caspian Events, is the Managing Director of “Documentary Voices: Pulling Focus.” She brings experience in theatre management and film criticism to her executive role with this new initiative. Ms. Zamani began her career as a film critic in 1990, with an A.S.S. in Film and Cinematography from the Tehran Cinema Institute. 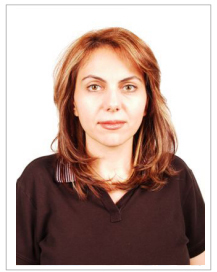 Since then she has worked with major film magazines in Iran and for the Persian section of BBC Radio and BBC.com. As a film critic focused on women's issues, Ms. Zamani supervised a special 1996 issue of the magazine World of Pictures devoted to "Women and Cinema". This has become a reference tool for students doing research in the field. In 1997, Ms. Zamani coordinated an international seminar in Tehran on the "Image of Women in Contemporary Cinema". Both Iranian and international film media praised the seminar. She has also published an English-to-Farsi translation of Ingmar Bergman's Face to Face. Ms. Zamani served as an editor for the International Film Guide (2001) and International Film Encyclopedia (2003). She also wrote numerous film reviews for influential Iranian movie magazines including Film Magazine and Film International. She was Theatre Manager for the Dubai Community Theatre and Arts Centre (DUCTAC) for two years. In that position Ms. Zamani organized and programmed more than 100 international events in DUCTAC’s several venues, including the 543-seat multi-purpose “Centrepoint Theatre”. Today she is founder and executive producer of Caspian Events, an event management consultancy and promoter working with local and international clients. Caspian Events facilitates programs at government-related and private arts centers. Currently Mahshsid Zamani lives with her husband and two daughters at Monterey, California and works for California State University Monetary Bay.